Numerous roads will be closed this weekend as two bike races take over the streets of Arlington, Va. 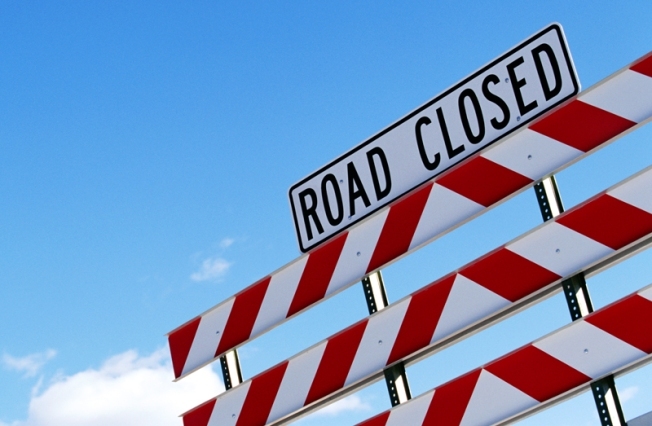 Motorists should prepare alternate routes during the temporary street closings in place for the U.S. Air Force Cycling Classic and the CSC Invitational. Wilson Boulevard from N. Fillmore Street to Washington Boulevard. Clarendon Boulevard from Washington Boulevard to N. Fillmore Street. Washington Boulevard from Wilson Boulevard to N. Highland Street. Highland Street from Wilson Boulevard to Washington Boulevard. Garfield Street and Fillmore Street from Wilson Boulevard to Washington Boulevard. Street parking will be restricted; motorists should look out for temporary “No Parking” signs. Illegally parked vehicles may be ticketed or towed. If your vehicle is towed from a public street, call 703-228-4252. On Sunday, local police will block off the following roads from 5 a.m. until 6 p.m. to allow course setup for the Air Force Cycling Classic. Joyce Street closed from Army Navy to Columbia Pike. Columbia Pike closed from Oak Street to Pentagon South Parking (access to Pentagon, Eads and Fern Street). South Gate Road no access to Columbia Pike. Eastbound Washington Boulevard closed at I-395. Westbound Washington Boulevard closed from Memorial Bridge. Crystal Drive from 23rd Street to Army Navy Drive- no vehicle traffic permitted northbound or southbound on Crystal Drive Access (will be granted to Clark Street from 12th Street). 15th and Jefferson Davis Highway – no traffic permitted east of Jefferson Davis Highway. All traffic that comes east of Eads Street must use Route 1. 18th and Clark Street - no vehicle traffic permitted eastbound towards Crystal Drive unless parking. All traffic will be detoured southbound on Bell Street. 20th and Jefferson Davis Highway – no traffic permitted from Jefferson Davis Highway to 20th Street or to the access road that parallels Jefferson Davis Highway to the east. 23rd and Jefferson Davis Highway – All traffic coming from or across Jefferson Davis Highway will be sent south on Clark Street. The normal lanes of traffic on 23rd Street coming from Crystal Drive will be used for the race route. Traffic coming from Crystal Drive on 23rd Street will be using the eastbound lanes. Southbound Route 110 ramp to northbound I-395 will be closed until noon. Southbound Route 110 from Rosslyn to S. 15th Street will be closed until noon. The Arlington County Police Department will constantly monitor traffic in the surrounding areas to ensure resident safety. For more traffic information, visit our traffic section.